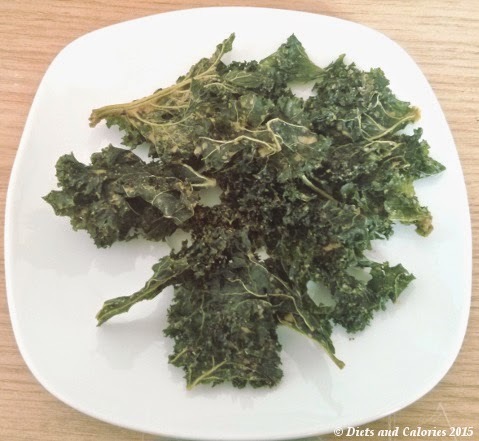 No sooner had I published my review of Pret's Kale Crisps, and they've gone and changed their recipe! 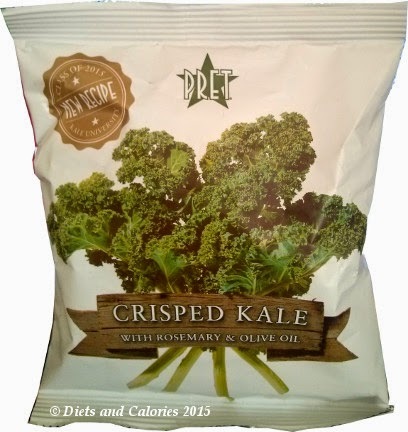 I must admit that for the last couple of weeks I hadn’t been able to find any Kale Crisps in Pret stores. No one seemed to know why they didn’t have any stock. Now I do. 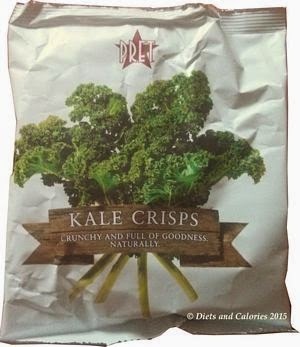 Pret's Kale crisps have lost quite a few calories in the process… down from 105 to just 67 calories per packet. But what else has changed? I didn't realise when I grabbed the new Kale Crisps that anything was amiss. The picture on the front was the same. What I didn’t notice was the name change. Now they’re called Crisped Kale instead of Kale Crisps. Packet size has reduced from 30g to 15g – which no doubt accounts for the calorie loss. As a plus point, the revised recipe has increased its kale content from 45% of the ingredients to nearly 80%. The flavouring ingredients have changed and have therefore, altered the taste. Now Pret's kale is mixed with rosemary and has omitted the buckwheat, sunflower seeds and flax seeds. Unfortunately, I don’t like this new recipe as much as the previous version. For me, the rosemary is a little too strong and it’s all I can really taste. I do love that there are now only 67 calories per pack so it won’t prevent me from buying them if I’m in Pret and after a lower calorie crunchy snack. ‘Our Crisped Kale as graduated to become crunchier, greener and tastier than ever. We pick the leaves, strip them from the stems and give them a wash. Instead of frying or baking, we slow-dry them on a low heat for 16 hours (this locks in the vitamins and nutrients kale has become so famous for) and simply season with rosemary and olive oil. Pret Kale Crisps are sold in most outlets of Pret a Manger. Nutrition information per 15g bag: 67 calories, 3.5g protein, 5.2g carbs, 1.2g sugars, 4.2g fat, 0.6g saturates, 4.3g fibre, 0.29g salt. High in fat, sat fat and salt. Medium sugars. Ingredients: Kale (79.4%), cold pressed olive oil (7.9%), deactivated nutritional yeast, coconut palm sugar, fresh rosemary (0.8%), lime juice, sea salt, garlic powder, black pepper.